A new or reconditioned lift from Acorn might be just the thing you need to stay more independent in your own home for longer. Call us or contact us to find out more as there is no need to risk a fall on the stairs or struggle any longer. They have a UK headquarters in Yorkshire and has grown considerably since its foundation 20 years ago. It has now developed into one of the biggest manufacturers of stair lifts world wide. Acorn is justifiably very proud of it’s quality, their reliability and their economy. They have their customer and engineer services offices open twenty-four hours each and every day, and they cover 365 days of the year as well. While there are a variety of Acorn models, each unit has been designed to be operated by a simple paddle control. It does not matter if the user has a stronger left or right hand, as the lift can be operated in either direction, up or down the staircase, by a simple touch on the paddle. Moreover it will start the chair into motion from the lightest touch, which is so that those with impaired mobility, in their hands or fingers, perhaps from a Stroke, Parkinson’s disease or Arthritis, may use it comfortably. Each Acorn model comes with 2 remotes, and these can be used to call your lift to you from either end of the staircase. The remote controls can also be used to send it up or down to another user such as a spouse or can be used by a carer or family member to request it or for transporting awkward items on the stairs, such as a basket of washing for example. Watch the video below now to find out more. A lift on the stairs can provide a safe, comfy and easy way to travel up and down your staircase. Each installation is tailor made to fit in to each individuals home and lifestyle too. They’re designed for quick installation with many clever designed-in features that make it fast and easy for us to fit and even more important for you to use. The beauty of the Acorn rails are that as well as their unobtrusiveness they enable our engineers to fit them very quickly. For example our curved rails to suit a bend in the stairs or a curved stairwell, take a few days from order to completion. In fact Acorn are the fastest from order to full installation throughout the UK for a curved stair lift, even eclipsing Stannah the oldest and most recognised brand. If your stairs are straight without any requirements for a hinge or powered swivel, then we could get you an Acorn straight lift installed in approximately an hour. This is astonishing considering that such a solution will enable someone to be safe on the stairs again. From the initial call from the factory to book your visit from the surveyor, you will be able to notice what marks Acorn out from other brands. All the staff are eager to help you as much as possible and will email or phone you to check everything is as it should be, or once you have purchased whether they can help you with an extended warranty. In our experience the Acorn lifts are dependable, reliable and economical. A full evaluation of your needs and expectations is made to get you the right lift to suit you and then only after this will the surveyor be able to give you a written quote for your fitting, which is when you will notice how reasonably priced they can be. 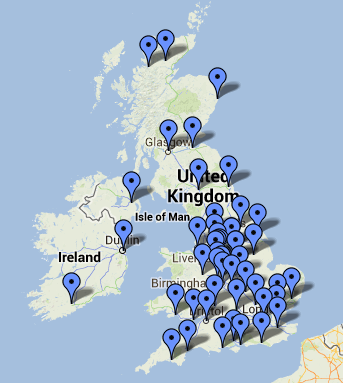 Each and every Acorn is precision engineered and assembled in the UK. All installations are by factory trained, qualified installers and all the work will comply with the highest of British safety standards. 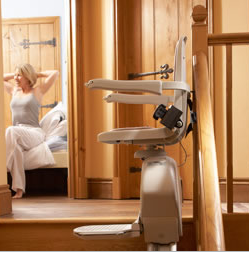 Overall you can see why many hundreds of thousands of customers throughout the globe have chosen an Acorn stair lift as their lift of choice. If you want to find out more about Acorn prices or the different Acorn models then feel free to browse further through the site, get a brochure posted out or speak to one of our friendly staff for free no obligation advice. Simply call us on 0800 007 5050 today.